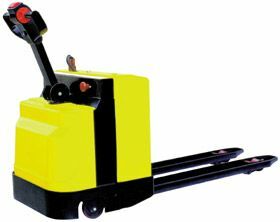 Available in manual or electric (12V) pump versions. Features infinitely adjustable height between the minimum and maximum levels. Robotically welded for precision performance. One-piece ductile iron pump with airless and leak proof design. Pump has chrome plated piston. Includes 2 stage hydraulic cylinder with chrome plated piston. FOB Shipping Point. Easy, efficient and safe operating features.&nbsp; Includes fingertip raise and lower buttons.&nbsp; Easy-to-operate throttle for forward and reverse direction.&nbsp; Throttle offers infinite forward and reverse speeds.&nbsp; Includes battery charger, horn, and safety belly reverse button.&nbsp; Runs off 24V batteries.&nbsp; Model HEPT-2547-30 uses 2 - 12V batteries with 95Ah.&nbsp; Model HEPT-2748-45 uses 4 - 6V batteries with 200Ah.&nbsp; FOB Shipping Point. Smooth start electric throttle provides rugged, constant, heavy-duty performance. Includes standard safety features: automatic braking when drive switch is released and safety reversing "dead-man" braking switch. 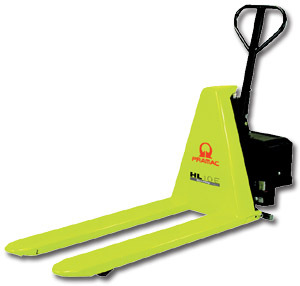 Small footprint equals better maneuverability in tight areas. AC Motor. 24 volt system. External charger plugs into any regular 110 volt outlet. Lowered height: 3".&nbsp; Raised height: 8".&nbsp; Fork length: 48".&nbsp; Fork widths:&nbsp; 20.5"/27" -- please speciffy. Travel speed empty&nbsp;3.1 mph - full 2.8 mph. 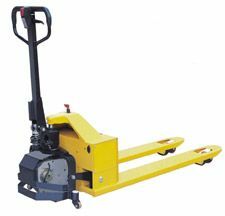 Turning Radius: 63". FOB Shipping Point. 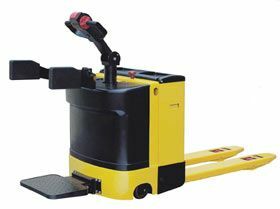 Easy use ergonomic handle with full control and safety system. Battery charge is checked electronically. Up to 230 Ah battery. Includes battery and charger. 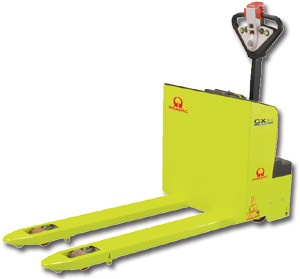 Includes 2 stabilizing wheels at load. Hours run meter. 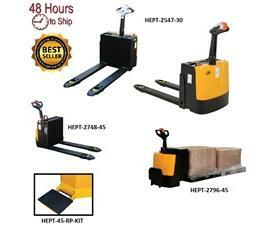 Dependable capacity up to 4400 lbs.&nbsp; FOB Shipping Point.